In order to take the Australia citizenship test, you must be a permanent resident of Australia and you must have applied for Australian citizenship. This test is part of your citizenship application process. Once you applied for Australian citizenship, if you are eligible for the citizenship test, you will receive a confirmation letter or email giving you all the information you need to know about your test: your test center location, your test date, the documentation you will need to present on the day of your test, and so on. The citizenship test does not cost any extra money. The test fees are included in your general citizenship application. You also do not need to pay extra to take the test more than once. 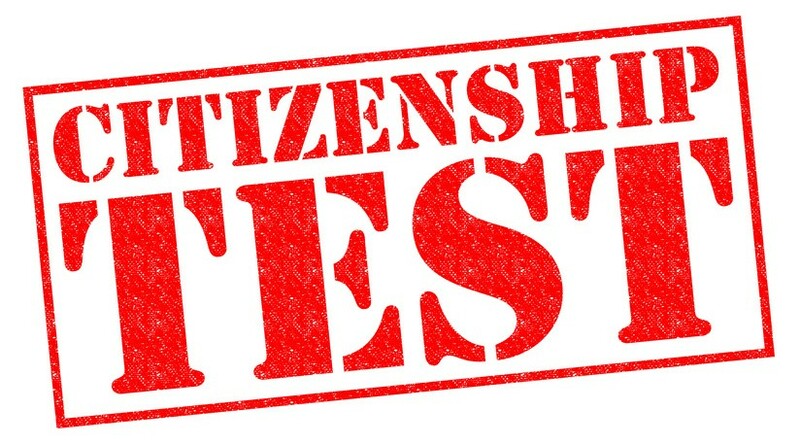 The citizenship test is multiple-choice test of 20 questions, which means each question will be presented with 3 possible answers and you must choose the answer you think is correct. The test is only in English, so you will need a basic understanding of English to pass the test. The test has a pass mark of 75%, which means that you need to answer correctly 15 questions to pass the test. Most people will take the Standard Test, which is computer-based (see exceptions here) and has a time limit of 45 minutes. During the test, you can be helped with the use of a computer if you are not familiar with it. The test questions are based on the testable section of the resource book Australian Citizenship: Our Common Bond. You have to memorize all facts contained in this testable section as nobody knows for sure which questions are going to appear on your test. UPDATE: The Australian government wants to implement a new citizenship test. Subject to the passage of legislation, this new test will still have questions from the study guide, “Australian Citizenship: Our Common Bond”, but will also include new questions about the applicant’s understanding of and commitment to Australian values. The new potential questions will test migrants for example on their views about gender equality and religious freedom. The new questions will include issues such as violence against women and children, female genital mutilation and forced marriage. During the test, you cannot refer to the resource book, or any other resource material. You will not be able to speak to anyone except the test administrator. After completing the test, the computer screen will notify you if you have passed or failed the test. You will be able to take the test again, possibly the same day. If you have passed the Australian citizenship test, your test result will be automatically transferred to your citizenship application file. You will need to wait for the overall result of your citizenship application process. I’ve been in Oz since 1977 and arrived with parents when I was 8 y.o. I am as true blue as they come and about time I sat for my test and got my citizenship. I will need all the help I can get so I pass with flying Green and Gold colours. I just want to ask if there a eilts exam for australian citizenship test. Just passed my test! I got 100%. Thank you for materials,(all questions were from chapter tests). Hi there, After you lodged the application online. Will you receive the citizenship test appointment straight away? or you will need to wait for a couple of months for receiving the citizenship test appointment from the department of Immigration ?